The greener side of Dublin city and county. First things first: The Bots. What is it? “The Bots” is how teachers and students refer to The Teagasc College of Amenity Horticulture, located at the National Botanic Gardens, Glasnevin, Dublin. They’ve been teaching there since 1812 so there’s quite a bit of history. For our first instalment of Horticultural Dublin we want to find out about this unique institution hidden away in the suburbs. To investigate, we’ve enlisted some people on the inside. We’ve got John Mulhern, Principal of the College, and prized former pupil, Gary Mentanko. John has been with Teagasc, a wider authority on agriculture and food development, for 20-odd years. Gary studied Horticulture at the Bots and has also conducted Horticultural work in the Arctic. We’ll come back to that. 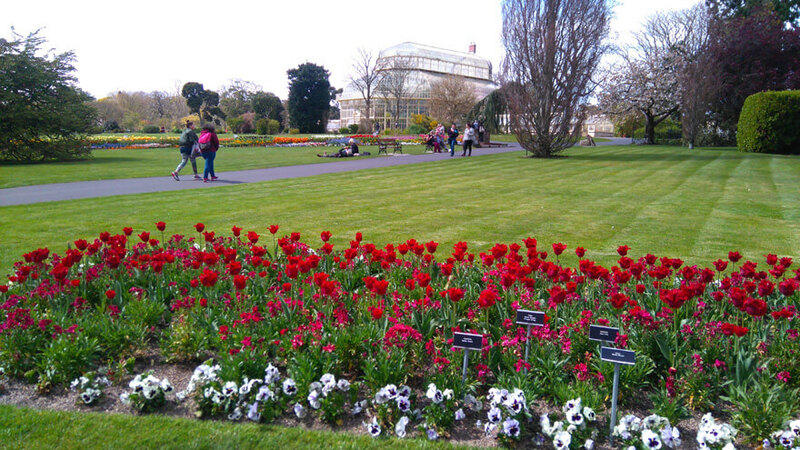 Many of you will be familiar with the Botanic Gardens in Glasnevin. Great for a serene walk or even the odd school trip. Pop into one of the old greenhouses and you’ve found the most economical way to transport yourself to the tropics. It’s here that the Teagasc College of Amenity Horticulture in Dublin base themselves. “It’s a really special place to be quite honest”, posits John. “No better place to learn your craft”. John gives us the low-down from his end. He is understandably quite proud of what they do at the Bots. They’ve almost 300 students and horticulture, as a field, is developing quite a bit. It’s becoming more prominent in the economy. The college teaches horticulture at several different levels of study, from those like Gary who get involved in international projects, to those at a beginner level. There’s something for everyone. We’ve a burning question for Gary. Working in the Arctic, what was it like? Claustrophobic, he tells us. You can never be by yourself for fear of polar bears. Yes, polar bears. This was two weeks in Churchill, Manitoba, a sub-Arctic region to the very north of Canada to study plants found in both Northern Canada and here in Ireland, their eco-systems, and assist with ongoing work on samples. Gary as it happens is Canadian, but he’s been here a while. After working for a time in a bookshop, he eventually found himself taking a FAS course in Horticulture out in Malahide. He came from a farming background – all of which resulted in him applying for the degree in Horticulture at the Bots. Horticulture, Gary says, can feel quite mentor-based. There’s a lot of time observing and passing down knowledge. He describes himself as “a very focused student”, but then you probably have to be to make it to the Arctic. And he loved the premises in Glasnevin. The whole place is pretty unique. A lot of it was built and developed hundreds of years ago. Mature grounds right there just outside the classroom. But really everywhere is your classroom. That name “The Bots”, Gary informs me, is something that covers the whole premises (not just the college) which gives you an idea of how the whole place is integrated. There’s quite a bit of crossover. The students go to the college, then do work placements at the gardens (mainly in the nurseries or the glasshouses). They learn from the garden staff. Some then eventually work there or even in the college. Gary now works at the gardens in an educational capacity, and even gets his hands dirty when he can. Taking the course was one of the best things he’s done, says Gary, and he’s pretty happy to get a job like this straight after the degree. And no, there’s not many places like the Bots. We wouldn’t hope so, because that would most likely take something away from this unique facility. At Dublin.ie, we’d suggest heading down to the Bots. 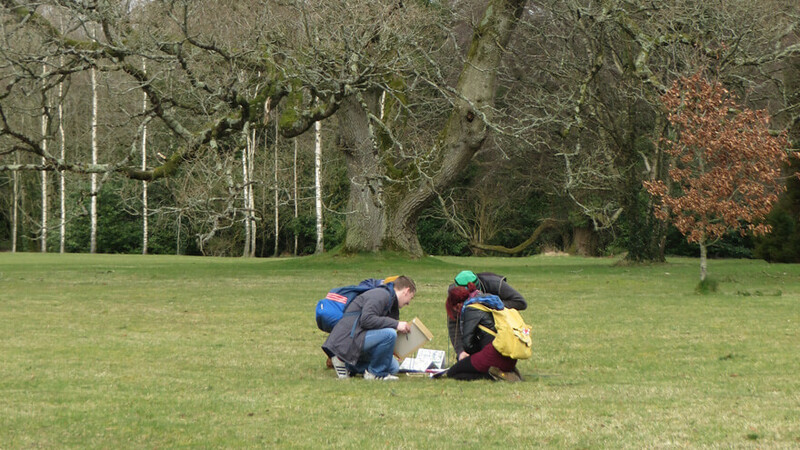 Go for a walk and breath in the fresh air, you might even sign up for a course! DCU is growing. The young university is spreading its wings across the north of Dublin, with campuses in Glasnevin and Drumcondra. As a result more eager students will be adopting these areas as their new home. So, what can students coming to study in the New DCU expect from this part of our fair city? Student life is about balance. A rounded education does not just happen in a lecture hall. Libraries, books and essays may make up a large part of the university experience but they are not the be all and end all. New friends, new experiences and new locals are all waiting to be explored.